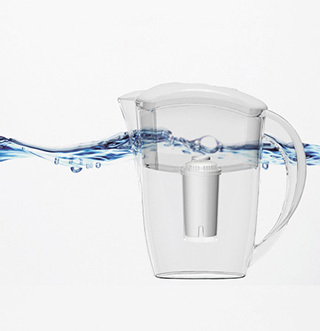 With super four-step filtration technology. Large four litre capacity. High quality ABS material. Replacement filters. Gift boxed. Bluetech Water Filtration System will provide clean, high quality, great tasting water for drinking and food preparation. Filters out suspended materials and organisms. Decreases carbonate hardness and adjusts alkalinity.